Adjustable wall mount shelving will not take up valuable floor space. Open wire construction promotes ventilation and cleanliness. 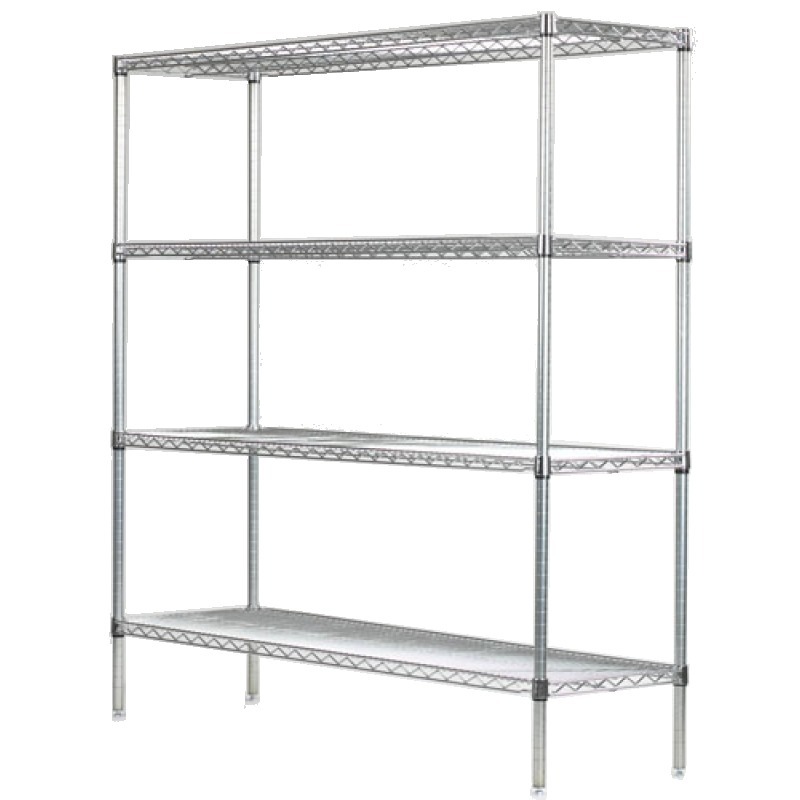 Shelves can be adjusted and repositioned on 1 inch increments. NSF certified.Load capacity depends on wall construction and wall anchors used (between 100-600 lbs). Shelves can be adjusted and readjusted every 1"